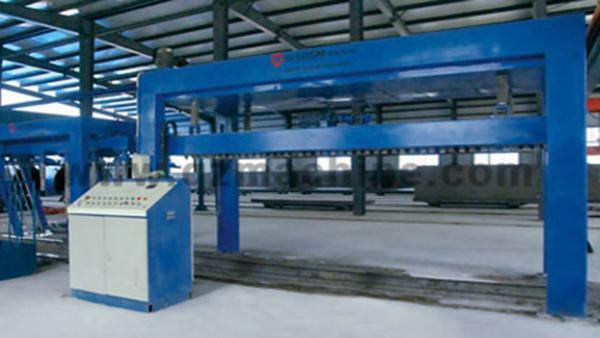 The AAC block making plant is a key development as a new building material machine that meets energy saving and environmental protection requirements. 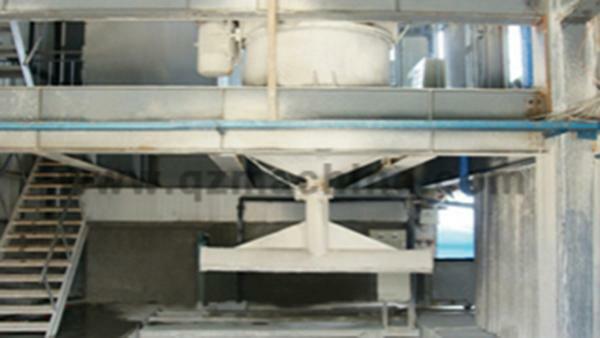 The plant is designed for domestic and international use for the air aerated concrete industry and introduces advanced German technology. 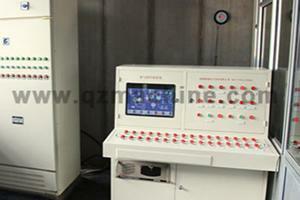 The machine mainly processes materials, including cement, lime, fly ash, gangue, river sand and gas generating auxiliary materials. AAC block is a new building wall material produced by batching, mixing, casting, cutting, autoclaving, curing and other processes. This product has uniformly distributed air holes inside, delivering lightweight, high strength, heat insulation, sound insulation, fire proof and environment friendly performance. The cutting machine is the key equipment of the AAC block production line. Its working principle is: titling hanger turns the mould together with rough body over by 90 degrees in the air, the mechanical arm relaxes the mould, demoulding and putting the rough body together with the side plates (the bottom board of the mould) onto the cutting car. 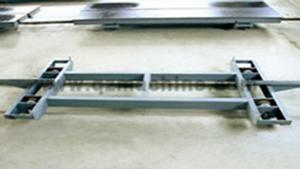 The cutting trolley is driven by motor and complete the processes of horizontal cutting and grooving by slitter. Cutting car continues to move to the cross-cutting station, the crosscutting frame moves from top to bottom and the cutting wire complete vertical cutting by sawlike swing. The rough body is cut on six sides as required. Then the cutting trolley moves to the semi-finished hoister station and the hoister lifts the rough body onto the curing car together with side plate (mould base board) to be grouped for curing. 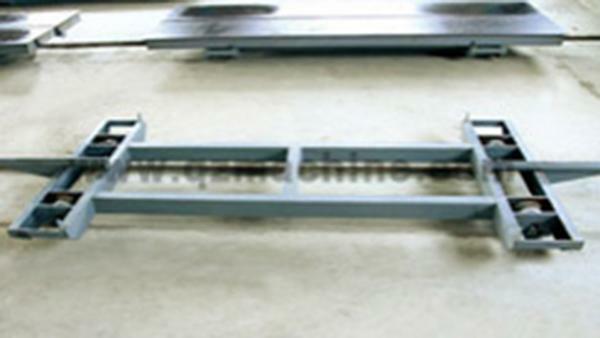 Finally, the cutting trolley returns to the initial station for next cutting cycle. The hanger for turning and demoulding is one of the main components of the AAC production line rough body cutting section, which is installed on the auxiliary overhead crane. 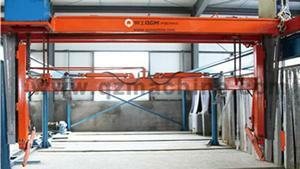 The lifting and turning power of the hanger is supplied by the hydraulic station. 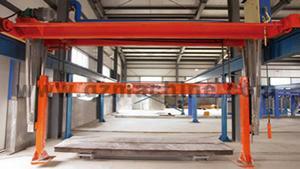 After cutting, the rough body is carried to the curing car by semi-finished product hanger for grouping. 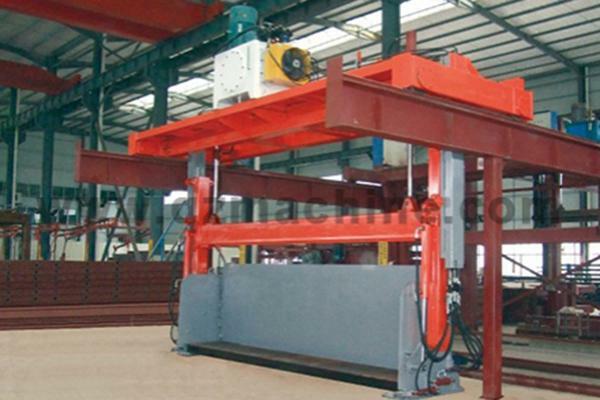 The hanger for turning and bottom removing is the main device of the AAC production line, which is installed on the elevated trackway. 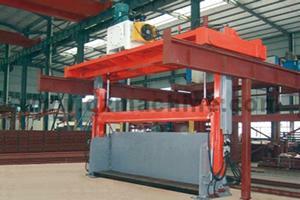 It is composed of a walking trolley, guiding device, hanger and hydraulic system, etc. 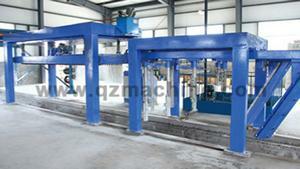 This device can turnover, remove the bottom and group the rough body after being cut. With stable operating, precise positioning, reliable turnover and convenient operation, it is the idle hanger for bottom removal and grouping of the rough body. 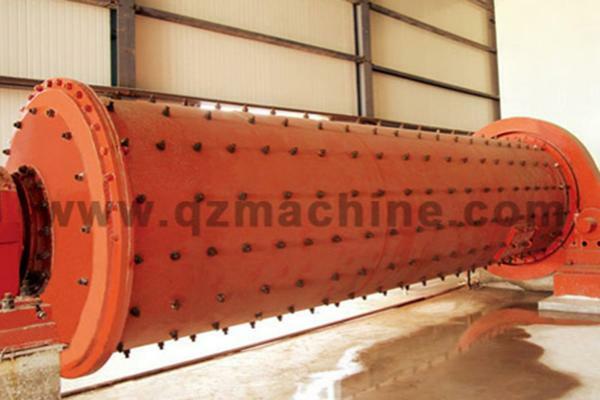 The ball mill is used to grind a variety of ores and other materials. 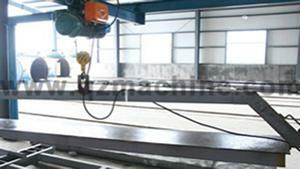 It is widely applicable to mining, building material and chemical engineering industries. It is classified into two kinds of dry and wet grinding modes. And according to ore discharging method, it can be divided into lattice and flowing types. 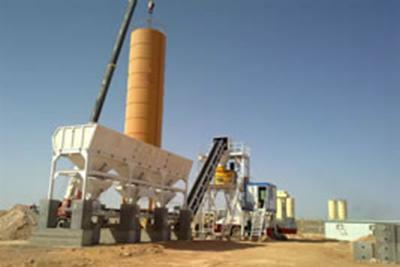 The storage tank is used to store prepared fly ash or sand slurry. The slow mixing system keeps the slurry from settling. 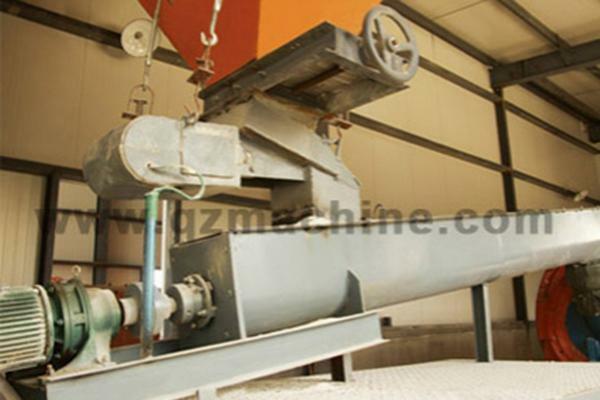 The jaw crusher is mainly used in intermediate crushing and rough crushing of various materials with a compressive strength of no more than 320MPa. 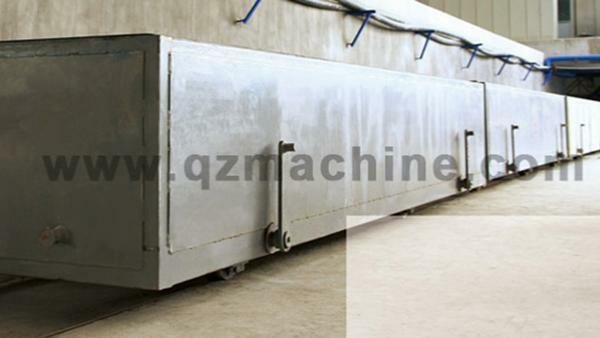 It features a high crushing ratio, high output, even product diameter, simple structure, reliable operating, convenient maintenance, economic operating cost, etc. 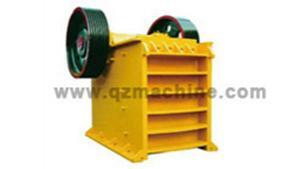 This crusher has been widely used in mining, smelting, building material, road, railway, water conservancy and other departments. 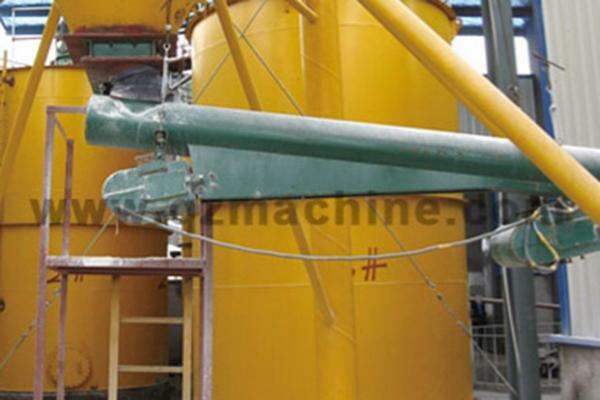 The jaw crusher has features of simple structure, convenient maintenance and using, stable performance, low operating cost and high crushing ratio. The casting mixer is the main equipment of the batching process of AAC production line. It is used to mix the various materials and water that are delivered into the casting mixer after being measured. When they are mixed to slurry suitable for casting, open the discharge butterfly valve to cast the slurry into mold for pre-curing. 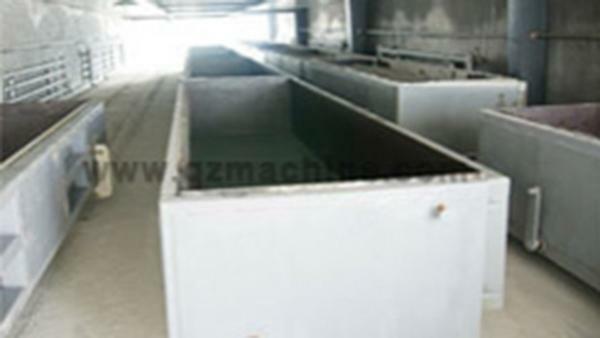 The mould is the final main component of the AAC production line. When the mixed slurry are poured into the mould, the AAC block body ready for cutting will be formed after gas release and curing. 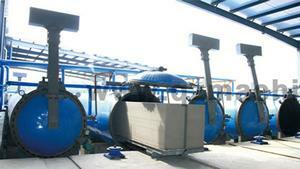 After pouring, the mould is delivered into the pre-curing room by hoister for gas release and pre-hardening. The temperature inside the room is 50-70℃, and the pre-curing time is 1.5-2 hours. Steam curing trolley is a carrier of loading side plate andrough body in and out of the autoclave. The autoclave is the device for silicate products to go through hydration reaction and obtain physical and mechanical properties. 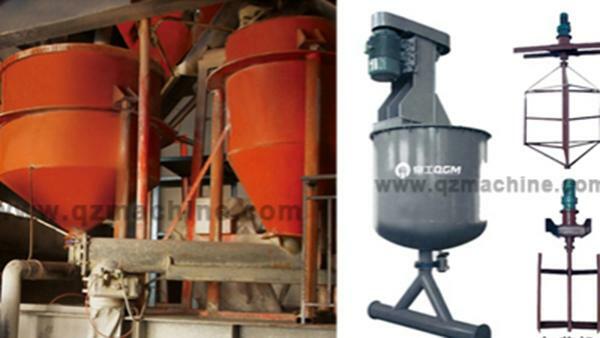 It is used in the ACC production lines of fly ash and so on, as an important part concerning the production safety and energy utilization.